We all know how important sleep is but how can you make the most of your time with your eyes closed? Lets not waste any time and get straight into some practical tips which will have you sleeping like a baby and increase your productivity in your woken hours. Caffeine is a stimulant to the sympathetic nervous system. It acts to increase our concentration by increasing adrenalin and cortisol levels within the blood stream. This can be beneficial when needed. However caffeine does have a 6-8 hour half life. That means if you consume 200mg of caffeine (typical cup of coffee) at 2pm then 100 mg will still be in your blood stream and 10pm. Studies have shown that this can cause disruptions in falling asleep and also disturb natural sleep cycles. Our recommendation would be to keep your caffeine intake to earlier on in the day to avoid the side effects on sleep. Remember that a cup of coffee or tea also contains some powerful antioxidants which are beneficial for our bodies so don’t feel like you have to go cold turkey. Being mindful on what time you have your caffeine will help you enjoy the beneficial effects without worrying about the potential for sleep disturbance. I am assuming that most people sleep with the light off but you would be surprised how many people sleep with the TV on. Any light in the bedroom at night is something you should be avoiding whether that be light entering through the curtains, LED lights from electronic hardware or lights from your phone. It has only been around 100 years since we have been able to manipulate light and although this is a gift in itself it may be a good idea to make some simple changes to decrease your exposure to light when you sleep. We know that there are light receptors in our eyes which receive light and tell our body we should be awake, hence the reason we get tired when we are in dark places. For quality sleep we really need to avoid stimulating these receptors. We recommend that black out curtains are used to cut out any light from the outside and that all electronic hardware which has LED lighting is switched off at the mains prior to bed. If this is not possible then the use of an eye mask can help to manage your light exposure. Despite what you may hear carbs, fats or proteins are never the enemies. There is a lot of misguided information out there and it creates an element of fear around our eating habits. No carbs after 2pm? 6pm? I’m sure you have all heard this before. Unfortunately these broad statements have no grounding or scientific basis. However, It is of course sensible to tailor your food intake around your energy needs as the fate of excess carbohydrate intake is fat storage. Carbohydrate intake in the evening will help your body to release serotonin . This hormone is involved in helping you to get a better nights sleep. Carbohydrates stimulate your pancreas to release insulin, which aids in tryptophan entering your brain. This then triggers your brain to make serotonin, which help you to feel more relaxed and sleepier. We recommend you keep the bulk of your carbohydrate intake to the afternoon, evenings and around training periods. Restricting morning intake of carbohydrates may help to promote fat loss and aid in blood sugar regulation throughout the day which will help you feel more alert and productive. Combine that with a good nights sleep with some evening carbohydrates and you should be onto a winner! Exercise is fantastic and has a million and one benefits and if you can only fit exercise in the late evening then I propose that you do just that. However during exercise Cortisol is released which is beneficial to aid your body in performance and adaption to the exercise bout. Intense bouts of exercise will correlate to higher levels of cortisol release. If you are training hard in the morning, afternoon or early evening then this cortisol increase will have no effect on your sleep. Training hard late in the evenings may have have a negative effect on your sleep as cortisol is a hormone which when elevated increases alertness. Its all an all too familiar scenario where we switch the TV off, head to the bathroom to brush our teeth then head straight to bed. Chances are a lot of people may be watching TV in bed and may even fall asleep with the TV on. We would recommend reading a fiction book to help you relax and also to stimulate creativity centers in the brain. These same centers are fully active as you sleep. Have you ever had a dream so vivid and real that you thought it was real life? Have you ever woken up with a brilliant idea? Your brain is a wonderful place and stimulating it regularly by reading will not only help you to be more creative, it will help you relax in the evening and ultimately assist in creating an environment perfect for you to have a flawless nights sleep. Why not try some of them out and let us know how it goes? Sleep is one thing we can not do without and making the most of it will really help you to make the most of your life! The Start of our Story…. Back in 1999, whilst working as a Pilates instructor in Egypt, my employer inspired me to open my own Studio. Her work ethic, customer service and personal touch was something I had not experienced working in the UK. Her attention to detail and ability to interact on a personal level with every customer was unique. This experience made me appreciate the value of smaller group classes. Upon returning to the UK, I discovered the Stott Pilates method and 111 Pilates was founded. The Stott Pilates method was perfect as allows you to look at the individual and personalize your approach to the best effect for each person. I endeavored to get to know each of my clients and keep class sizes to a minimum to provide quality bespoke services. I trained at a time when there was little availability of equipment in the area to practice on or train. For this reason there was also little equipment work available, and opening my own Studio was the logical solution. I had a vision of providing top quality bespoke services to all and that vision has not changed during our journey to this point. 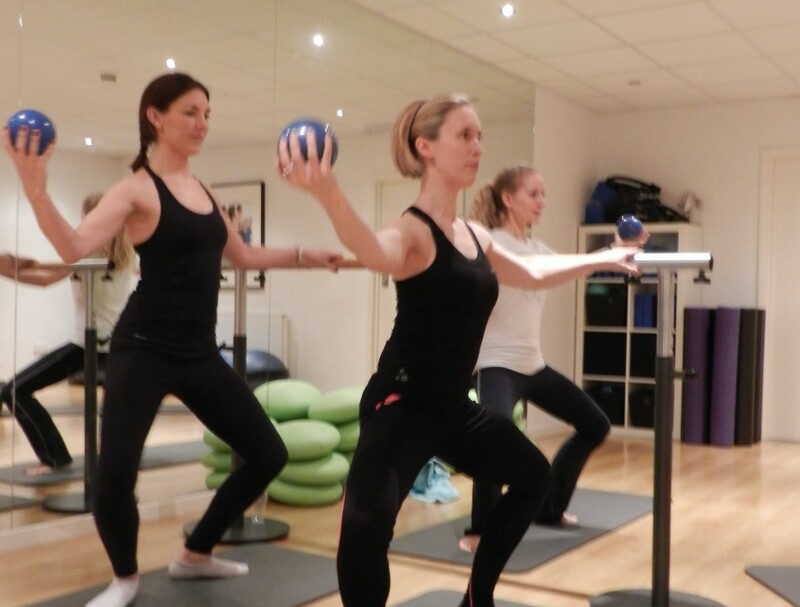 One One One Pilates aims to offer sessions on a personal level, whether that is a class or private setting. We use the best equipment and boast highly skilled, highly trained instructors. In our opinion, Pilates equipment can form an integral part of any exercise program as it can assist, develop and challenge the individual in a variety of ways. Meaning we can use the equipment to create diverse programs which would suit anyone from a rehab client up to a elite athlete. Over the next few months we intend to introduce you all to our diverse team and our unique approach which has helped us to build a tailored approach to Pilates. We will be sharing lots of Pilates fueled info and tips which can help you to tweak your exercise program and lifestyle in your favor. This is the start of our new journey and I hope you are all willing to join us for the ride. Hello and welcome to our holding page for the 111PlusPilates! I cannot wait to share some of mine and my teams thoughts with you all.